The Bachelor of Science in Marine Transportation (BSMT) program offered by WBC is basically designed to prepare deck cadets for carrying out tasks, duties and responsibilities as Officers-in-charge (OIC) of a navigational seagoing ship of 500 gross tonnage and more, both at sea and in port. 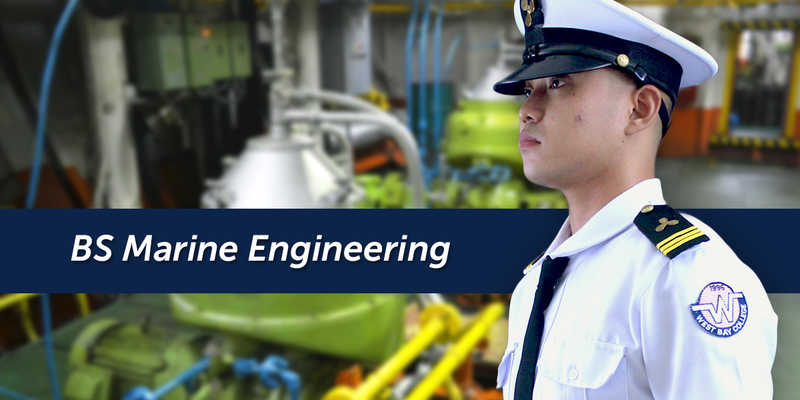 This program aims to produce competent merchant marine deck officers who will be qualified to pursue a professional career or advanced studies in related maritime field of specialization. It includes subjects in navigation, meteorology, cargo handling and stowage, communications, and controlling the safe operation and care for persons on board the ship at the operational level. It is a four-year residency course consisting of a three-year academic studies and one year shipboard training. After completion of the academic course requirements, other institutional standards, seagoing service requirements as per existing CHED Memorandum Order on shipboard training, and basic training, the student shall be conferred with the degree of Bachelor of Science in Marine Transportation (BSMT).